The idea of fairtrade is all about making things better. Better prices, better working conditiond and better terms of trade for both farmers and workers. Improving all of these things means that we support the development of farming and working communities, helping them to thrive and have more control over their futures. This is something that the Co-op invest time in, they go above and beyond working with producers to deliver vital projects to these communities in developing countries. It allows these people to build a better life for themselves including things like safe drinking water, something which we take for granted! 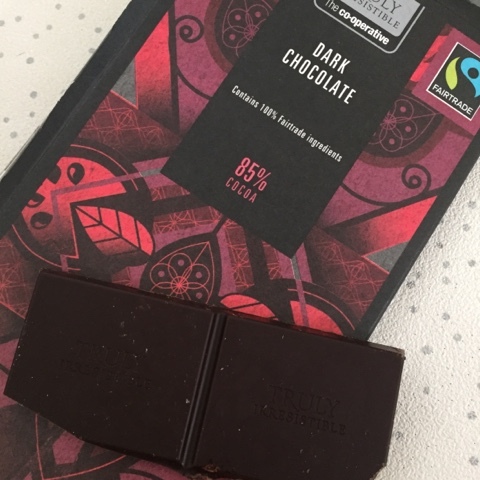 From the 29th February until the 13th March Co-operative food want shoppers to comes and discover their fairtrade range, there are so many products to try and enjoy with some big deals available during this fortnight with 100g bars of chocolate for as little as a £1 each. 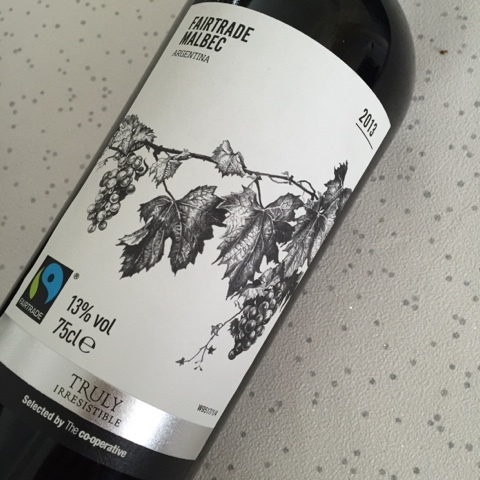 The Co-op stock an entire range of own brand fairtrade chocolate, coffee, tea, sugar and the all important parent saviour, wine! I was sent a little selection to get a feel for the range myself. What got me was how reasonably priced everything was. I'm sure I'm not the only one that thought ranges like this might be more on the expensive side but I've been pleasantly surprised. 80 teabags for £1.36, a bottle of wine for £6.99. 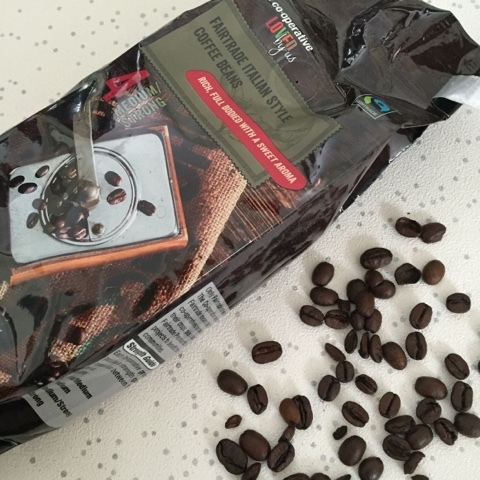 I'm a huge coffee fan and the smell of the beans when I opened the bag was devine, rich, had me craving caffeine instantly. Why not head down to your local Co-op and see these products for yourself, great tasting food and drink and a little added knowledge that your purchase is helping to improve someone elses life elsewhere in the world! The Co-Op is great for Fairtrade products. I just the stores were a little bigger so I could get more of my shopping all in one go. 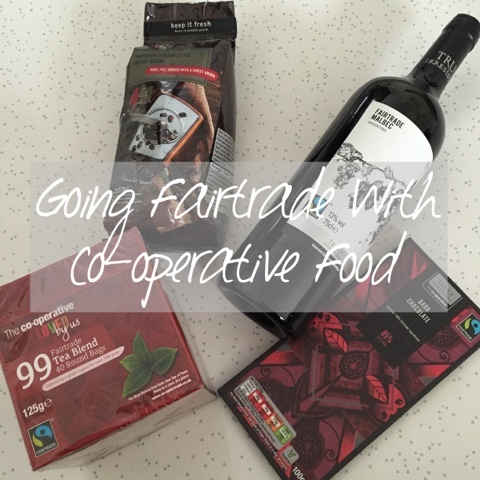 We do most of our shopping in our local Co-op and I love that their products are fairtrade and have really high production standards. 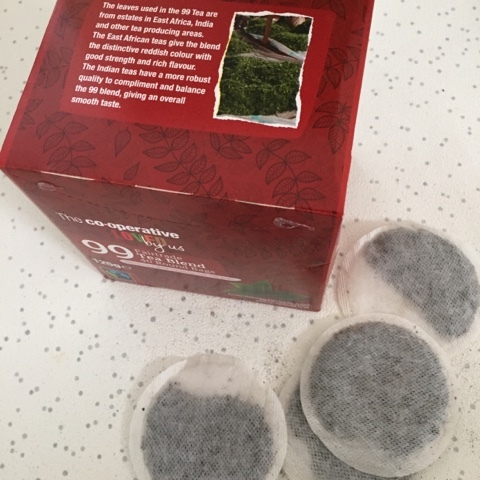 Plus their red label tea is the best by far!